Private investigator Katerina Carter and boyfriend Jace embark on a cozy weekend getaway just before Christmas at a luxury mountaintop lodge. While he writes the biography of a billionaire environmentalist, she explores the snowy wilderness. Colleen Cross has crafted a fast-paced, suspenseful, edge-of-your-seat whodunnit mystery thriller with a killer twist - one you won't see coming! 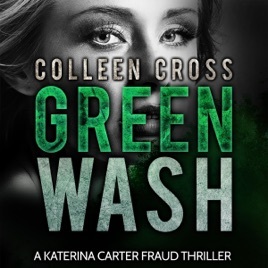 If you like audio mysteries spiked with spine-tingling suspense, you’ll love Greenwash, a heart-stopping adventure!